Last week, the students in History of American Music discussed All Shook Up: How Rock n’ Roll Changed America, a book by Glenn Altschuler about the early days of Rock n’ Roll. It was a great discussion about music, society and all kinds of stuff. We even threw a little religion in there. I guided as they talked, but I was also thinking about a book that several of those students read for another class. Last year, I taught Expansion of the United States and had them read The Searchers: The Making of an American Legend, a book by Glenn Frankel about the difficulties caused by the mixing of history and myth. On the surface, this book has nothing to do with the other one. However, there is one connection that ties them together, and it is not the fact that both writers are named Glenn. It is a chain of events that links a tragic episode in the American West to a tragic episode in Rock n’ Roll. 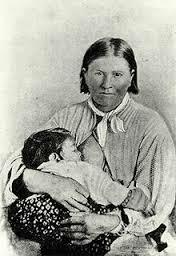 On May 19, 1836, Cynthia Ann Parker was abducted from her home by a Comanche raiding party. Her family had settled on the Texas frontier and faced the dangers of that decision. Her uncle searched for her but, after several years, gave up. Cynthia Ann grew to adulthood as a Comanche and raised a family. Years later, she was recaptured and brought back to the Parker family. She never recovered from being ripped twice from the world that she knew. In 1954, a novel by Alan Le May was published. 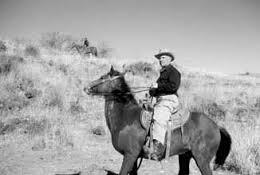 It was called The Searchers and told the story of a man on an epic search to find his abducted niece. Although he studied many abductions, Le May’s story is similar to the Parker saga. However, the book ends differently than real life. The uncle does not give up. Instead, he is killed by a Comanche woman. 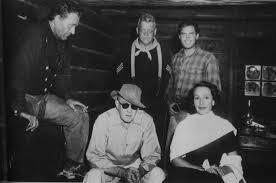 In 1956, John Ford and his stock company traveled to Monument Valley make The Searchers, a film based on the book. John Wayne starred as the uncle looking for his abducted niece, played by Natalie Wood. It is considered by many to be the greatest of all Westerns and Wayne’s best performance. The audience does not know what will happen when he finds her, but, in the end, he takes her home. 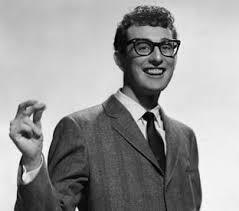 On February 25, 1957, Buddy Holly, a Texan, recorded “That’ll Be the Day“, a song inspired by Wayne’s catchphrase in The Searchers. The song reached Number One and was the first song recorded by The Quarrymen, who are better known as The Beatles. On January 23, 1959, Holly died in a plane crash with Ritchie Valens and J.P. Richardson. Yeah, that is where my mind went. I connected two books from two different classes. It probably looks weird, but there are some things that cannot be denied. 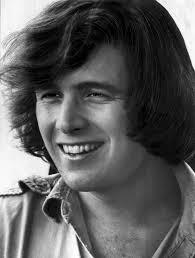 One of those is a direct historical line from Cynthia Ann Parker to Don McLean.